A Raspberry Pi plus a homebrew HAT with driver software and a custom graphical user interface created especially for this application combine to make a unique FM radio that is not only eye-catching but a fascinating learning experience, thanks to extensively detailed documentation. 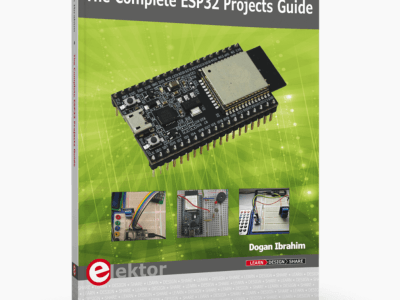 Nobody can fail to learn something new from this wide-ranging project! Mouser Electronics, Inc., the industry's leading New Product Introduction (NPI) distributor with the widest selection of semiconductors and electronic components, is now stocking Power by Linear™ LT8361 current-mode, multi-topology DC/DC converters from Analog Devices. 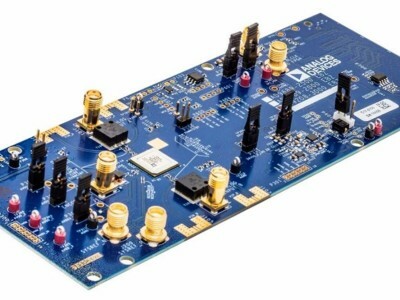 A PWM signal requires just a single digital output on an IC and so it is hardly surprising that these days the digital I/O pins of microcontrollers often come with extensive PWM capabilities. However, there are also downsides: for example, DACs are faster and more accurate. 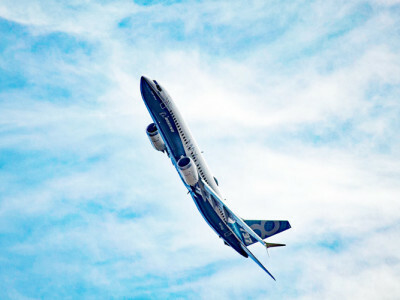 But now an IC is available that offers a simple upgrade to a PWM-based design. 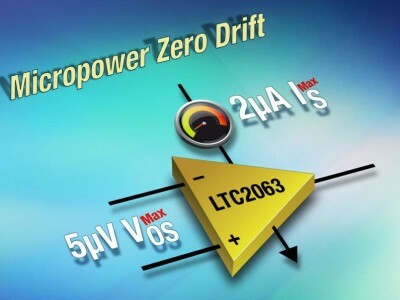 A new zero-drift opamp has been announced that draws just 1.3 μA on a 1.8 V supply and features a maximum input bias current of 15 pA a maximum input offset voltage of 5 μV at 25 °C. Even though these values increase slightly over the full temperature range from –40 °C to 125 °C, they do allow the use of large value feedback network resistors, keeping power consumption low even at high temperatures. 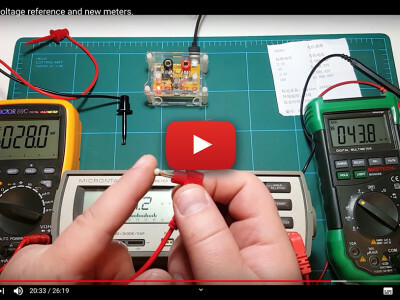 The focus of this article is to help solve some key design issues when using photodiodes for precision measurements. 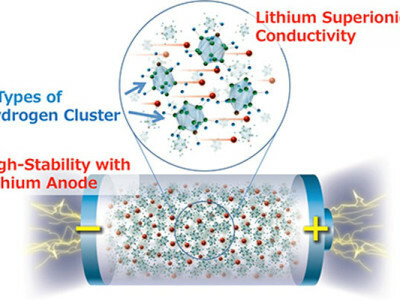 It discusses how to interface photodiodes with current-to-voltage amplifiers, and ADCs, and how to use programmable gains for applications which require a very high dynamic range. A new voltage regulator has been added to the ever growing pile of similar devices. 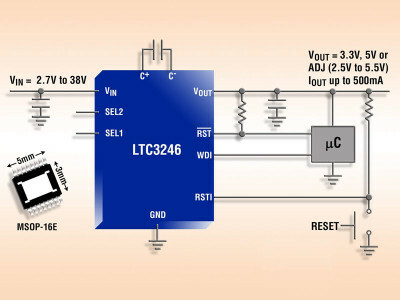 This time it is a multimode switched capacitor buck-boost charge pump capable of regulating an input voltage in the range of 2.7V to 38V to a fixed 3.3V or 5V or adjustable from 2.5V to 5V. To operate it only needs three small ceramic capacitors, no inductors are needed, keeping EMI switching noise to a minimum. In the rather amazing year of 2016 we have witnessed several takeovers of important semiconductor manufacturers by hungry competitors. 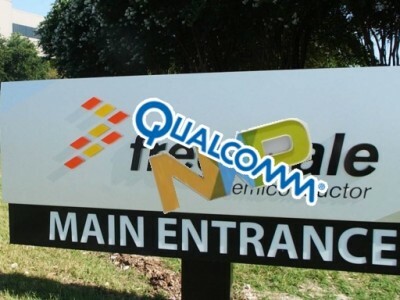 Only a few months ago Freescale was bought by NXP for 12 billion dollars, now we discover the rumor that Qualcomm would have the intention to take over NXP for some 30 billion dollars. During the first two quarters of 2016 we have witnessed some important company takeovers in the electronics industry and it looks as if this trend is going to continue in the next two quarters. 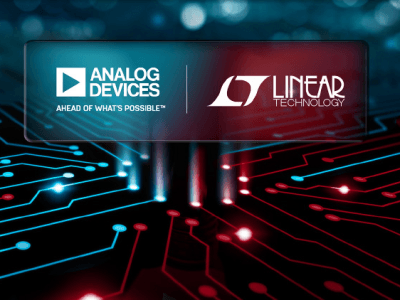 This week it was announced that Analog Devices (ADI) will buy Linear Technology (LTC) for almost 15 billion dollars (about 13.3 billion euros).